Dr. V.K. Bindra, Founder & Director, Aastha's Beauty Clinic, Aesthetic Physician & Laser Specialist. 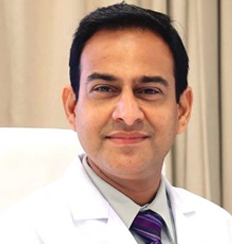 He is doctor of medicine and post graduate from Apollo Hospitals in Aesthetic Medicine & Medical Cosmetology. Being Inspired by the Aesthetic Medical field, Dr. Bindra has worked and developed specific techniques in Cosmetology and Laser treatments. He has been working as senior Consultant Aesthetic Physician and Medical Cosmetologist and Laser Specialist for the last 12 years. He has received extensive training and specializes in Aesthetic Medicine, Cosmetology and latest Laser Techniques. As an authorised consultant at Apollo Hospitals and Education Research Foundation (AHERF), world's leading research foundation providing medical professionals with latest knowledge of Laser Treatments, Cosmetology and Aesthetic field, he is serving people and helping them to bring their confidence back to look young and beautiful. He is inspired by the desire to bring excellence in the practice of Aesthetic and Laser treatments. In today's scenario of rapidly evolving Aesthetic & Laser Science, aesthetic professionals are in constant need of stay abreast with latest developments in their profession. He is also working as a Media Beauty Advisor for several news channel and newspapers. His articles generally publish in different print media and programmes are telecasted in famous electronic media - Divya Channel, Punjab Plus, Fastway Movies, Channel No. 2 etc. He has recently launched Oxygen Therapy. He has treated thousands of patients suffering with skin & aesthetic problems across India and abroad. 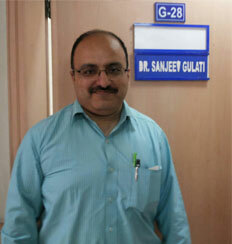 Dr. Gurpreet Singh is a Senior Consultant Endocrinologist at Fortis Hospital, Ludhiana. He graduated from Government Medical College Patiala in 1995 and went on to pursue residency in Internal Medicine from the Georgetown Medicine Program at DC General Hospital in Washington, DC. He then completed fellowship in Endocrinology, Diabetes and Metabolism from the University of Medicine and Dentistry of New Jersey at Robert Wood Johnson Medical School. He is American Board Certified in Internal Medicine as well as Endocrinology and Diabetes. Dr. Gurpreet is an active member of various national and international associations including the American Diabetes Association, The Endocrine Society, The American College of Physicians, European Association for Study of Diabetes and RSSDI. His areas of expertise include Intensive Diabetes Management including Insulin Pump Therapy and Continuous Glucose Monitoring Systems. His current areas of interest include implementation of a diabetes prevention program at the community level. Practising in posh South Delhi clinic - SKIN CARE CLINIC, since 12 years. 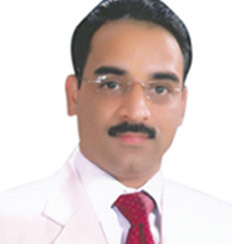 Senior Consultant at reputed Batra Hospital & Medical Research Centre, New Delhi since > 12 years. Had previously worked at renowned FortisLaFemme hospital, Greater Kailash 2 & Kaya Skin Clinic, New Friends Colony for many years. Certified Trainer of Apollo Medvarsity, Hyderabad - For Aesthetic Medicine & Cosmetology programs in Delhi centre. Expert in Thread Lifts (anti ageing) & Lasers - Hair removal, Acne scars & pigmentation. Certified & trained Aesthetic practitioner by Botox Institute, Allergan India - for Botox & Dermal Fillers. 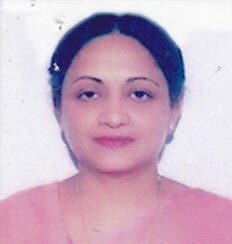 Dr. Mrs. Achla Gupta, has been practicing since 1978 at Hope Hospital. From last many years she is been serving patients at Aastha Clinic as a leading gynecologist. She has an excellent academic record and knowledge about obstetrics and gynecologist with oratorical skills. 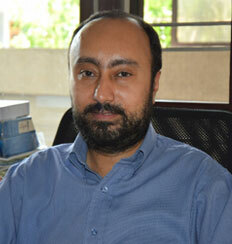 Dr. Rahul Tandon has worked as the Former Sr. Consultant, Plastic Surgery, Apollo Hospitals, Dhaka and as the Ex. Assistant Professor, CMC, Ludhiana. He has also worked as Fellow at International College of Surgeons, USA. As one of the renowned plastic surgeons having 13 years of experience in the field of reconstructive and cosmetic surgery, he has been helping people to look at their best.